We are almost half way through the week! YAS! Now, if you know me, you know I have a TON of purses, I actually have a #purseproblem. While, I love love love designer bags, they are just not realistic to rock everyday, and definitely not realistic to purchase err day. SO that is why I decided to round up my top 5 favorite bags (all under $50) that I recently purchased for the spring! #1. 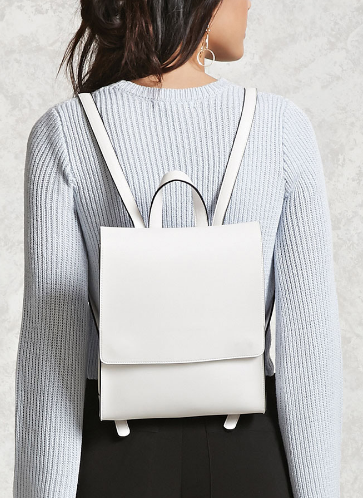 All White Flat Top Backpack- I know this is technically not a purse, but anything that I can swing around my back and not carry on my arm for my mile walk home from work, I AM ALL FOR.. It looks chic, and carries all of my everyday essentials. 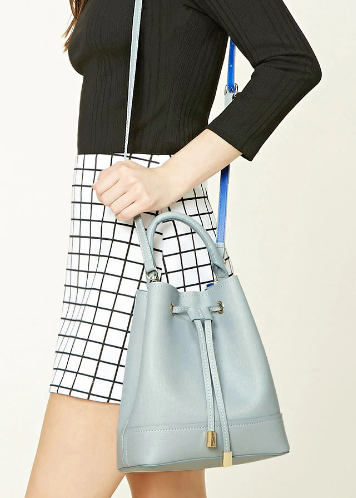 Shop this bag here. #2. 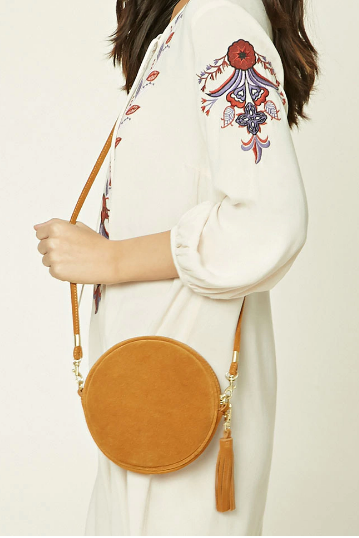 OK BYE how cute is this circle bag? 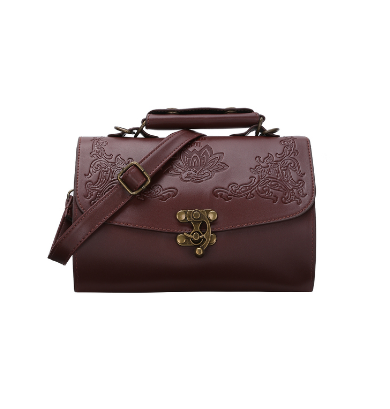 This is the perfect spring bag, there is nothing more to say. BUY IT. #3. You may have seen this bag in my last post, but I love this pop of color clutch! It’s my favorite to pair with any spring outfit! I found it in a sale pile for under $10, but it’s only a tad more expensive online. Shop it here! #4. I LOVEEEEEEEEE this flower embroidered bag! The deep maroon color is amazing, and I have yet to rock it out on date night! Shop the look here. #5. BUCKET BAGS! I actually bought the exact same bag from H&M a few months ago, and I absolutely love how spacious it is. It’s the perfect color for spring, and I love sporting it for a casual weekend day out. Buy the look here. That sums up my spring bag round up! I hope everyone has a wonderful week!